Home » india news » Modi gets BRICS leaders to dress Indian - sartorial diplomacy or just silly? Modi gets BRICS leaders to dress Indian - sartorial diplomacy or just silly? 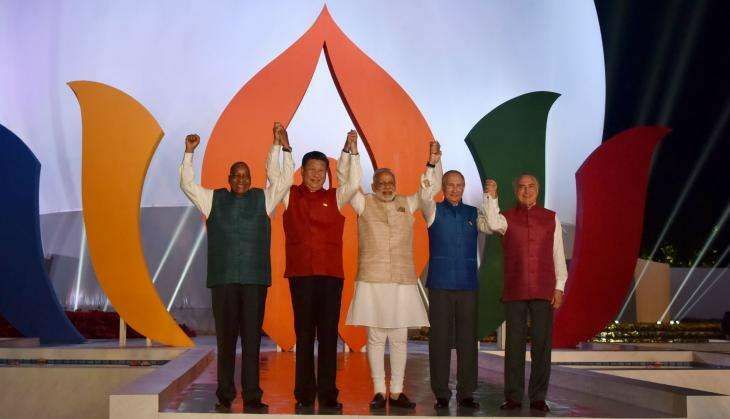 BRICS leaders all donned #Modi jackets on the sidelines of the summit, but what's the point? If there's one thing Prime Minister Narendra Modi loves more than optics, it's fashion. On day 1 of the BRICS summit in Goa, he found a way to combine the two. It was a mixed day for India, where engagements with the Russian delegation proved fruitful while the Chinese refused to take a stance on either Masood Azhar or India's application to the Nuclear Suppliers Group. However, even as India struggled to make headway with the Chinese, Modi's love for a good photo-op shone through yet again. The idea seems to be part of Modi's attempt to manage the public perception of the summit, giving off the impression of a unified front even as India labours diplomatically. It also gives the impression that Modi is an influencer while, in truth, the wearing of such jackets is more of a courtesy gesture to the host nation. 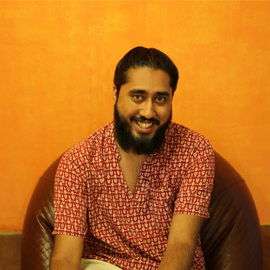 This isn't the first time Modi has arranged for a Modi jacket-themed photoshoot either. At the Third India India-Africa Forum Summit (IAFS) in Delhi, where a record 41 African heads of state were present, India had arranged for fashion label Biba to design silk kurtas, headgear and Modi jackets for each head of state. These were to be worn at a dinner held on the sidelines of the summit. Of the 41 heads of state, 39 acquiesced, some to hilarious effect. The only two holdouts then were South Africa president Jacob Zuma and Zimbabwean president Robert Mugabe. This time at BRICS however, Zuma wasn't let off the hook. With many calling this an example of Modi's "sartorial diplomacy", it should be noted that post the summit the African nations have called for the summit to be held every 5 years rather than 3, as was previously the norm. While this sartorial diplomacy made for great photos and TV footage of an otherwise dull summit, it didn't seem to translate too well to actual diplomacy. Despite both Minster of External Affairs Sushma Swaraj as well as PM Modi pitching for African nations to support India's push for a permanent UN Security Council, this support wasn't forthcoming. In fact, the final statement by the African nations in the IAFS declaration, acknowledging but not declaring support for India's Security Council push, was as vague and noncommittal as what we've come to expect from China. Many have hailed Modi's sartorial diplomacy as original and a mark of his unique approach to foreign relations. Given the fact that the man has called his fashion sense a "gift from God" and is known for multiple wardrobe changes in a single day, one wouldn't be too surprised if this was indeed an idea he conceptualised. The truth, however, is that Modi is probably just aping a tradition he encountered while at the Association of Southeast Asian Nations summit he attended in Myanmar in 2014. At the summit, all the leaders turned out in traditional long-sleeved Burmese silk shirts. Modi smiling at the thought of doing his own Indian version. However, what Modi may not know is that this practice most likely originates from the Asia-Pacific Economic Cooperation (APEC) Economic Leaders' Meeting. Here too, for a "family photo", leaders don the traditional garb of the host nation. But, rather than displaying the statesmanship of the host nation's leader, the tradition is actually seen as a bit of a joke. In fact, what we've so grandiosely described as "sartorial diplomacy" is called the tradition of "silly shirts" when it comes to APEC. In case you were wondering what could possibly make George W. Bush look any sillier, the answer is APEC. The tradition is such a joke that when the meet was hosted in Hawaii, Obama broke with tradition, gifting leaders Hawaiian shirts but not asking for them to be worn. Here's what he had to say on the tradition: "I got rid of the Hawaiian shirts because I looked at pictures of some of the previous APEC meetings and some of the garb that appeared previously and I thought this might be a tradition that we might want to break." We think that advice applies equally to Modi and his fixation with playing fashion designer to foreign leaders as well.